Stock photo / Stock vector illustration: Vintage airplane lettering for printing. Vector old school aircraft poster. 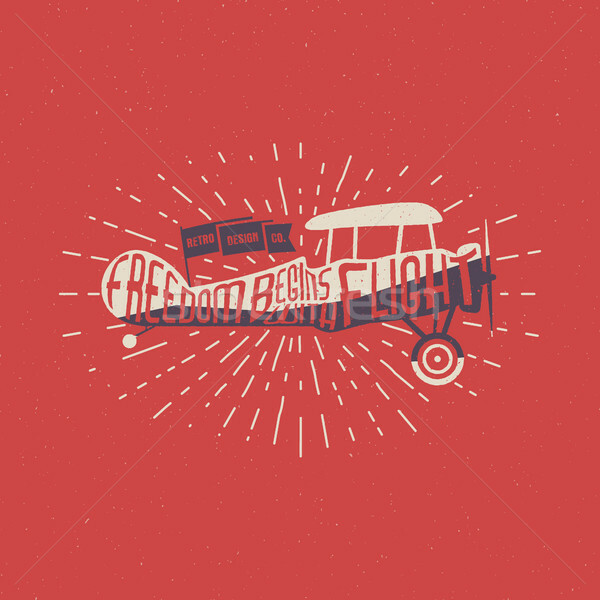 Retro air show t shirt print design with motivational text and old effect. Biplane with sunbursts on old style background.